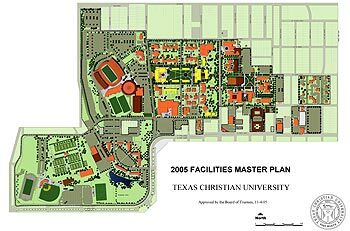 Scope: Update the Facilities Master Plan; incorporate changes made to the 1991 Plan, the the 1999 and 2005 updates. 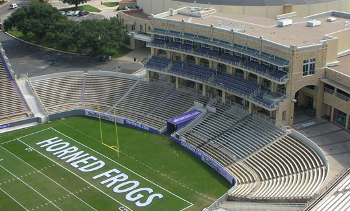 TCU's Facilities Master Plan provides a framework for the development and management of TCU's buildings, infrastructure, grounds and related facilities. 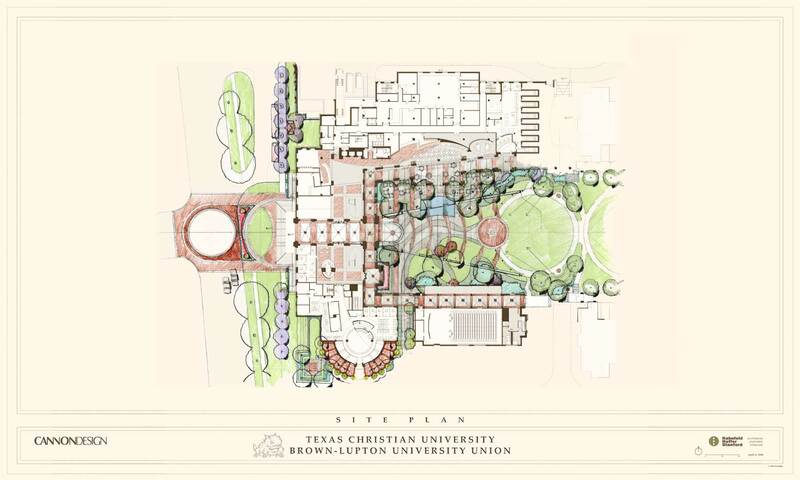 The Plan guides the evolution of TCU, allowing the university to manage change in an orderly fashion, conserve and enhance functional effectiveness and improve environmental quality and the ambiance of the campus. 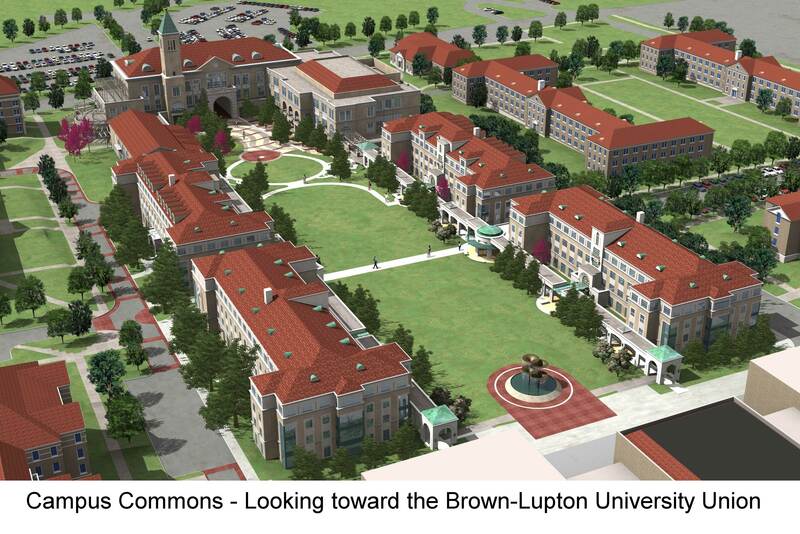 Scope: This project, along with the Brown-Lupton University Union and new residence halls, will establish a "commons" in the center of campus. 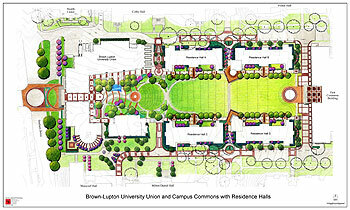 It provides landscaping, hardscape, an amphitheater and other outdoor amenities adjoining the new residence halls, Brown-Lupton University Union and "east commons" building (the current student center). Among other things, it eliminates parking in the central part of campus and limits vehicle access. Frog Fountain also will be relocated to another area of the "commons." 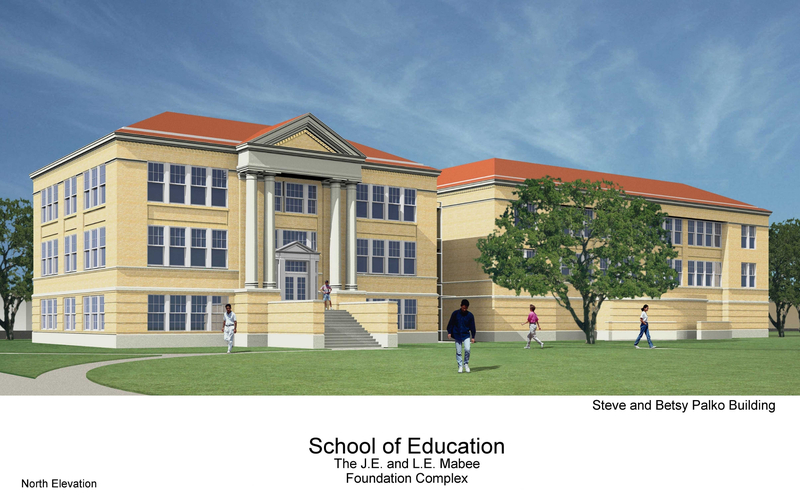 Scope: Construction of a 145,000 square foot facility to replace the existing student center. 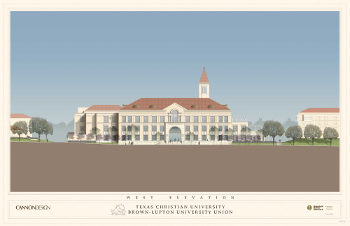 Key elements of the building will include a new dining facility, an auditorium, a campus living room and student organization space. 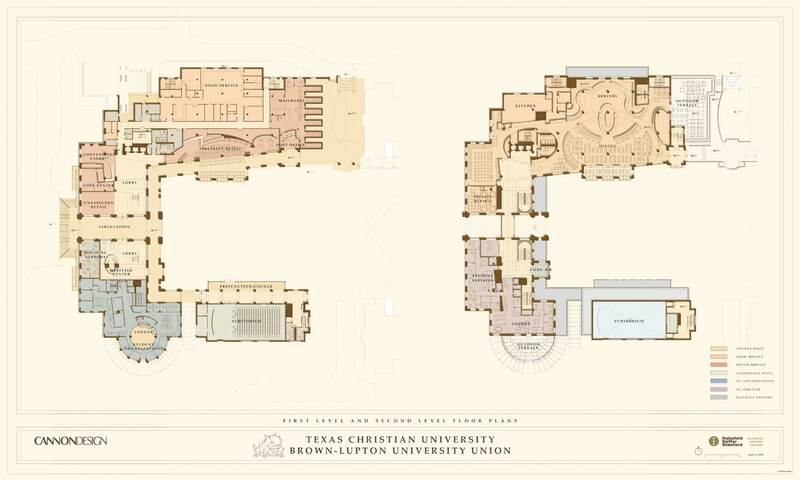 Scope: Construction of four residence halls totaling approximately 220,000 square feet. Two will have 165 beds and two will have 151 beds. Student housing administrative offices will be located on the ground floor of the Kellye Wright Samuelson Hall. 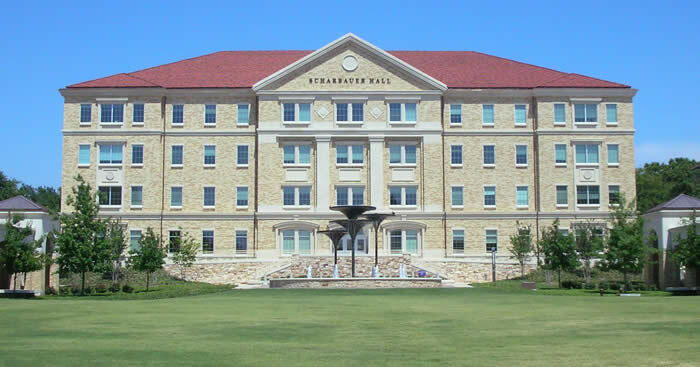 The Kellye Wright Samuelson Hall and Amon G. Carter Hall (the two northernmost) will be completed first, followed by the Teresa and Luther King Hall and the Mary and Robert J. Wright Hall. 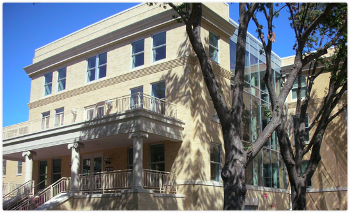 Scope: Renovation of the interior of the existing Bailey Building and construction of the Betsy and Steve Palko Hall, an adjoining three-story, 24,600 square foot addition. Scope: Construction of a multi-purpose practice facility. The structure will be built over the existing artificial turf football practice field. Scope: Construction of a 32,000 square foot facility to replace the bookstore that was destroyed by fire during renovation in March 2006. This is a joint venture with Barnes & Noble who will operate the bookstore. 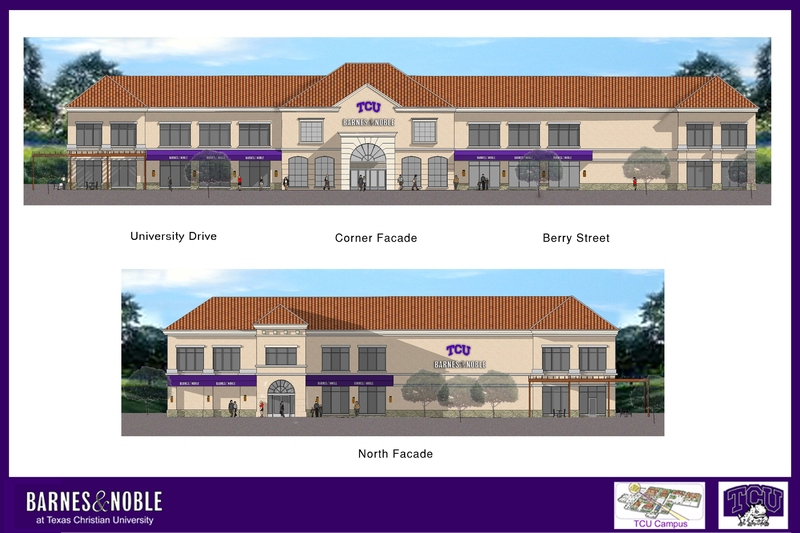 The new bookstore will be located on the corner of University Drive and Berry Street. Key elements include expanded book sales and retail space; lounge and reading areas; a mezzanine for text books and study areas; and a cafe with indoor and outdoor seating. 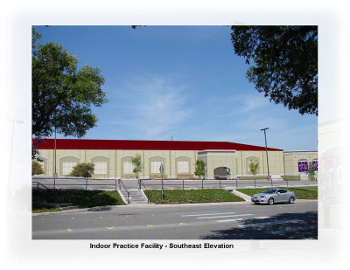 Scope: Construction of a 28,500 square foot addition to the Athletic Complex and renovation of 6,400 square feet of existing space. Key elements include six luxury suites and a seating deck with 250 club seats; a private club level with access from Daniel Meyer Coliseum; food and beverage service; a player's club; a large team meeting room; and additional academic space for student athletes. 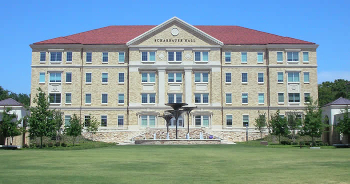 Scope: Jarvis Hall is being converted from a residence hall to administrative use and will be occupied by Student Affairs and the School of Music. A new accessible entry module with elevator, restrooms and lobby space will be constructed on the west side of the building. 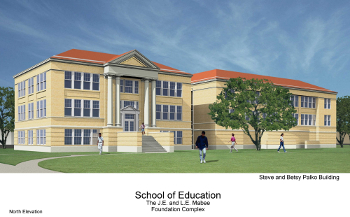 Scope: This major renovation will provide 220 bed spaces in a mixture of room types, new common and study areas and improve accessible entrances. 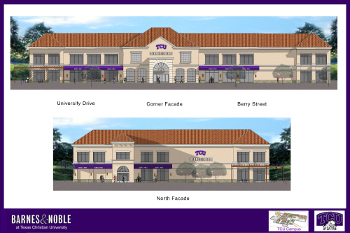 Scope: The existing Student Center and the connector between the Student Center and Reed Hall will be demolished. 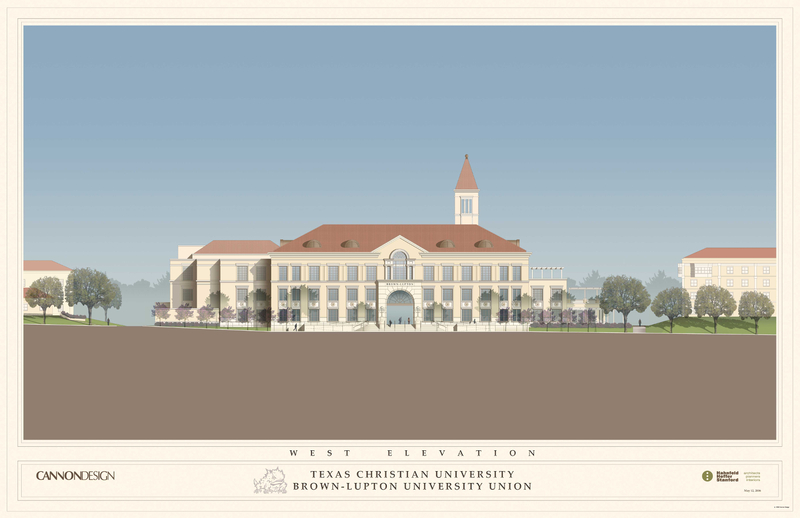 A new 70,000 square foot building will be constructed in its place and a court yard will be developed between it and Reed Hall. The project will allow for consolidation of AddRan College into Scharbauer and Reed Halls. 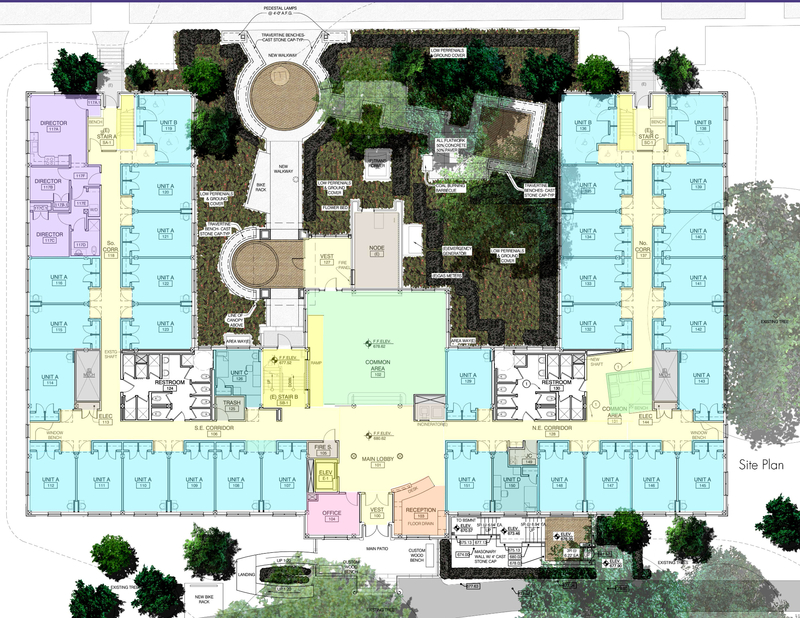 Scope: This major renovation will correct life safety deficiencies, make the residence hall accessible and compatible with other facilities and meet student residential expectations.